I'm skipping a few letters, to get to the letter L. This is a graphic that did not make my Tongue Twisters book. I replaced it with a lazy leprechaun. too cute ..and too bad he didn't get used, maybe he gets another chance at T, just remove the lion's mane and he's the Tongue Twister Tiger. Almost cute enough to snuggle up and take a nap with. 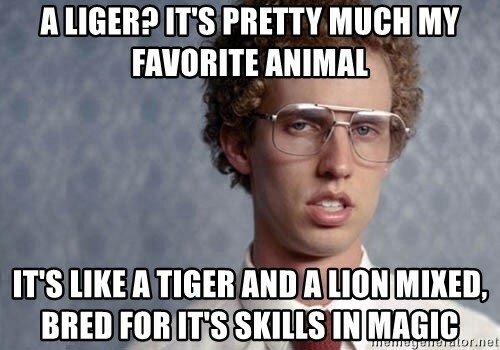 I cant' think of any L related things to say so let's just say ligers are cool. I hear ya. I'm not looking forward to the letter "X".